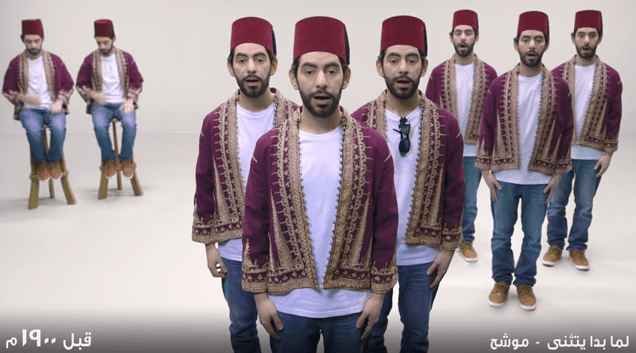 Riyadh a cappella musician and YouTube star Alaa Wardi created a vocal remix of 42 of the most popular songs in Arabic history. I hadn’t heard most of these songs before, but it’s fun to see how Wardi shows the evolution of Arabic music. This video came out last summer but is worth sharing if you haven’t seen it yet. Click here to see a list of the original songs.